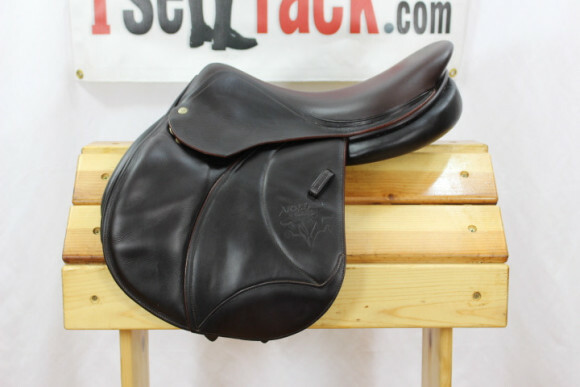 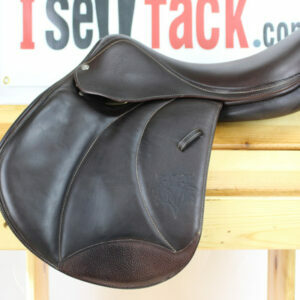 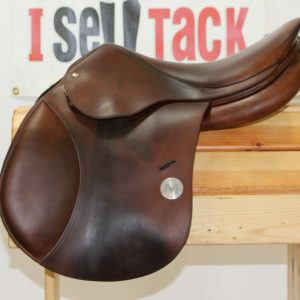 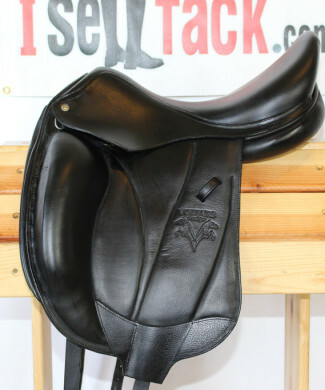 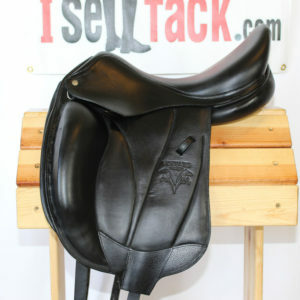 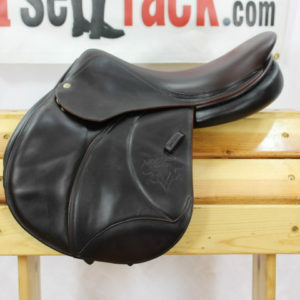 The Palm Beach saddle is a wide and half deep-seated saddle. 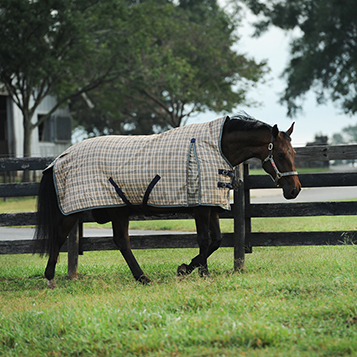 Our engineering team worked with trainers to understand the most common issues facing riders and to find the best way to address them. 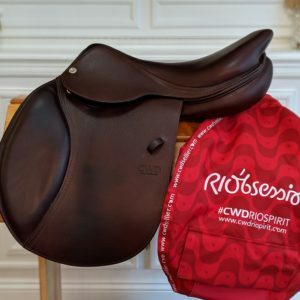 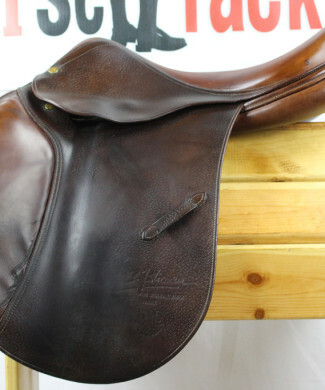 The result is an innovative saddle that keeps the rider in the correct position, maintaining the leg in the right position without restricting it. 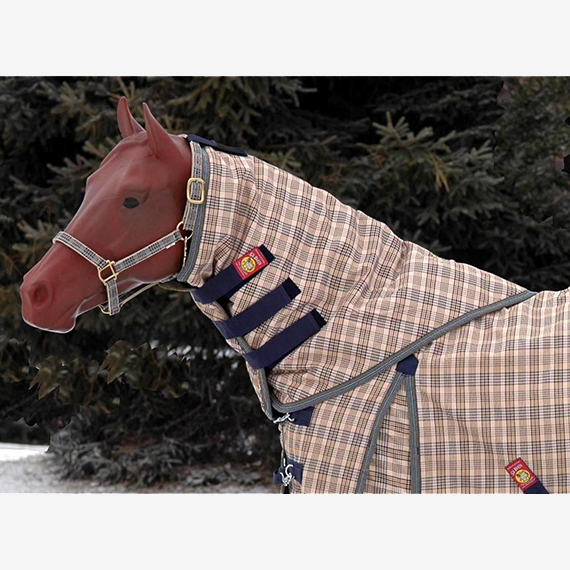 The Second Skin option, an exclusive design feature from Voltaire Design: Giving close-contact a whole new meaning! 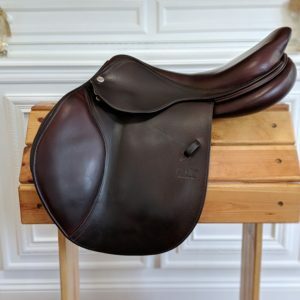 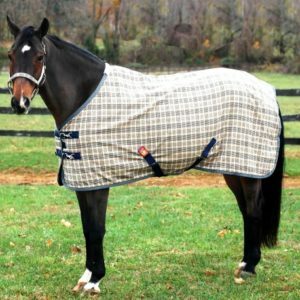 The new second-skin option came from the simple idea of minimizing the amount of leather between rider and horse to achieve the closest possible contact! 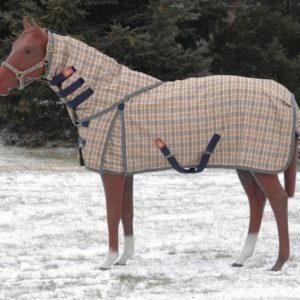 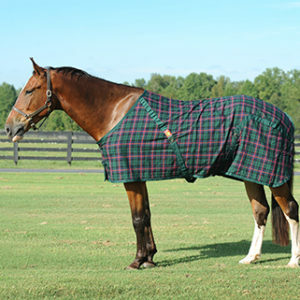 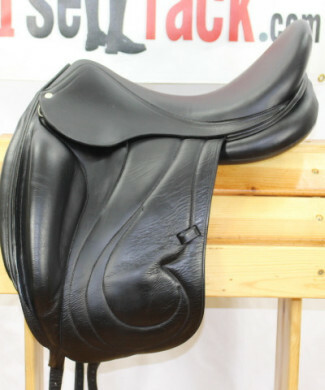 The underflap is specially treated to be softer and thinner resulting in a super light close-contact saddle. 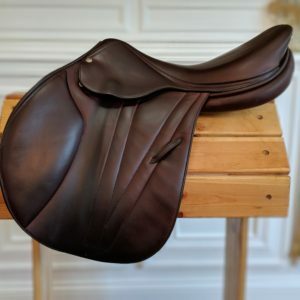 Read our riders Club’ interviews on this website; we’ve had so much amazing feedback about the second-skin option from top riders and trainers! 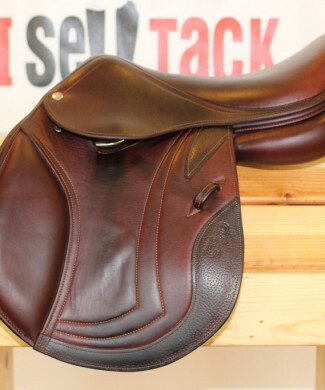 The one thing we always hear about our “second-skin” saddles is that horses truly seem happy with their saddles and move more freely… and that’s what we love to hear!